Brooklyn, NY - More than a housand turned out in Williamsburg this morning at the Kapisher Beis Medrash on Bedford Avenue to pay their final respects to Rabbi Aron Gad Katz, the Kapisher Rov as they called him, who passed away Wednesday night at Columbia Presbyterian Hospital at the age of 68. Rabbi Katz was born in Montevideo, Uruguay, where his father Rabbi Usher Shmiel Katz served as the rabbi. 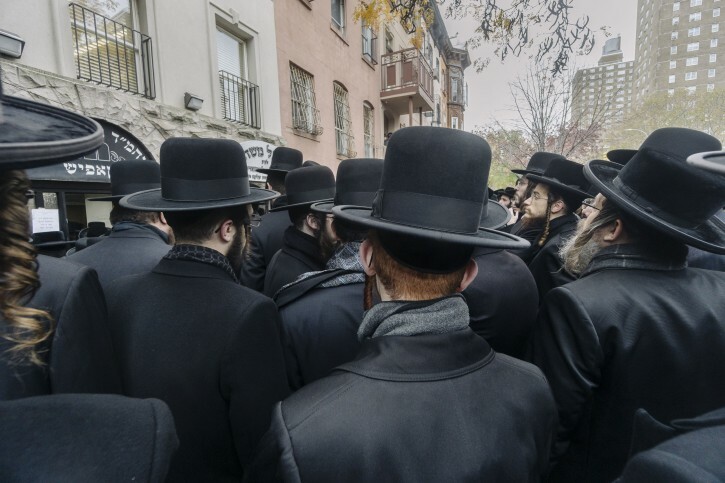 The family moved to Canada before ultimately settling in New York, where the senior Rabbi Katz was a Talmud, and shared a close relationship with the Satmar Grand Rabbi, Rabbi Yoel Teitelbaum. 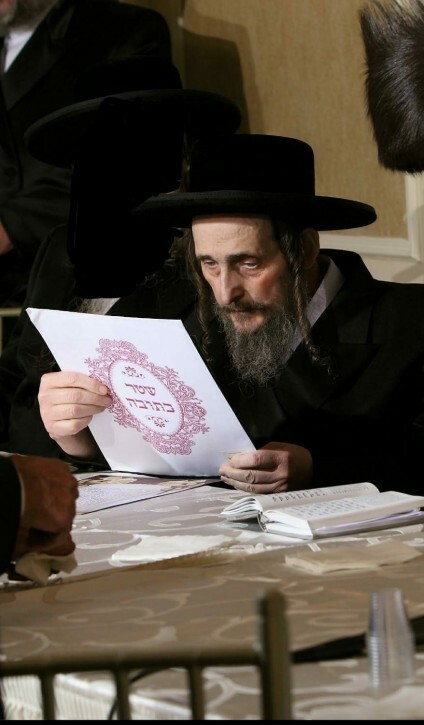 He succeeded his father in law Rabbi Yaakov Lebovitz as the Kapisher Rav after his passing in 1980. 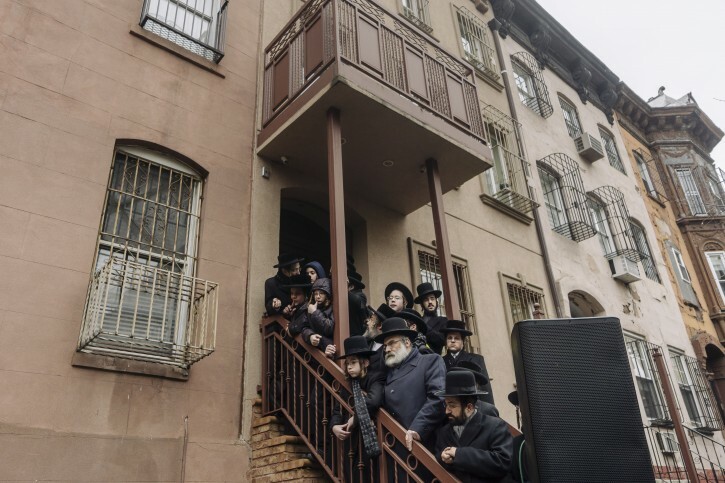 Renowned for his warmth, humility and his exceptional capacity to care for others, Rabbi Katz spent over 20 years teaching in Rabbi Avraham Leitner’s yeshiva in Williamsburg. Students would often flock to Rabbi Katz’s home on Friday night to spend time in his presence, but after learning that the boys’ preference to spend their free time on Shabbos with him and not with Rabbi Leitner was considered by some as an affront, he put an end to the practice out of deference to the rosh yeshiva. Rabbi Katz and his wife Shifra had seven daughters and four sons. Sister in law Naomi Ehrenreich said that all eleven were raised in a home that was always open to those who sought Rabbi Katz’s advice and blessings but still emphasized the importance of close familial relationships. While he would often spend hours speaking with visitors who came to seek his counsel, Mrs. Ehrenreich said that he was an exceptional husband and father who had unusually close relationships with his children. Mrs. Ehrenreich, who lives in Florida, last visited the Katz home this past spring. 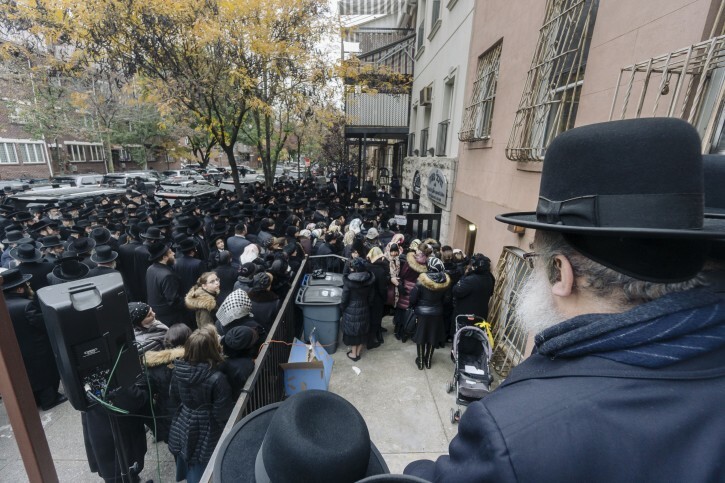 As she was leaving, she was told to come back inside because Rabbi Katz wanted to speak with her before she went home. “He wanted to offer his blessings to me and told me he wanted to be able to repay the visit by coming to see me in Florida,” recalled Mrs. Ehrenreich. Rabbi Katz, one of seven children, had been plagued by medical problems since his thirties and was predeceased by three of his brothers. Despite his physical hardships, Rabbi Katz would spend hours deeply involved in his learning, preferring to immerse himself in the wellsprings of Torah while actively avoiding all politics and controversy. 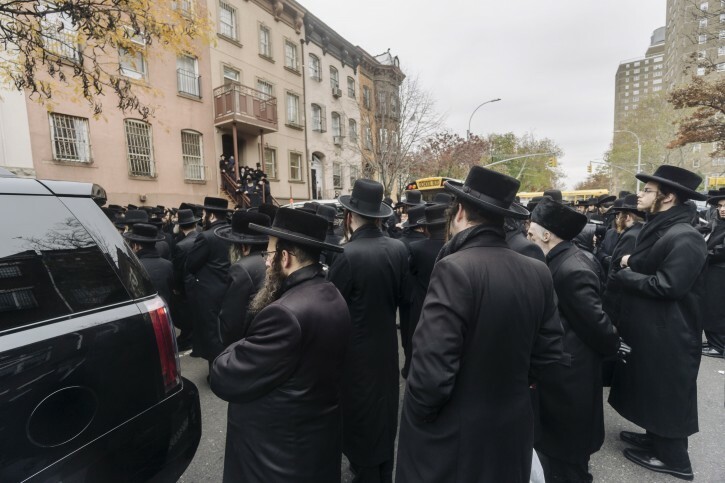 Moshe Steiner, who davened at the Kapisher synagogue, remembered one incident where a large gathering was being arranged in Williamsburg, with organizers hoping that all of the area’s prominent rabbis would be in attendance. Given his long-standing tradition of eschewing anything that could potentially involve any type of disagreement, Rabbi Katz decided not to attend the event, a decision that had numerous people contacting him and asking him to reconsider. Prayers were never rushed at the Kapisher synagogue, with Rabbi Katz uttering every word with a full heart. Purim and the days preceding Rosh Hashana were particularly busy, with crowds coming to for the honor of having even a brief audience with Rabbi Katz, who was considered by many to be a true holy man. Steiner recalled staying in contact with Rabbi Katz after his son had been hospitalized, calling him after surgery to let him know things were proceeding. While Rabbi Katz did not answer his phone, he called back within minutes to hear how things had gone. A few days later, Steiner said he accidentally called Rabbi Katz’s number without even realizing what he had done. When he was physically able, Rabbi Katz would often collect money for those who approached him with financial difficulties. 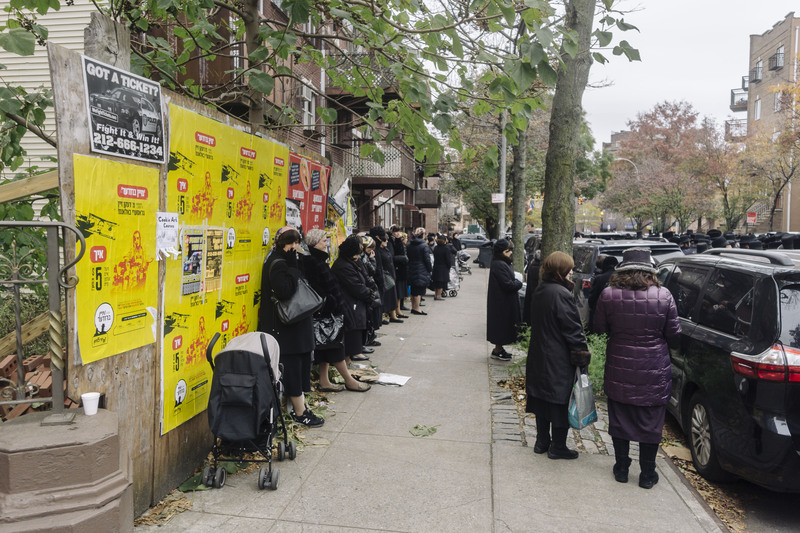 In keeping with his humble personality and his preference to never call attention to himself, Rabbi Katz’s fundraising missions were done discreetly, with few people even aware of his personal efforts on behalf of those in need. Hundreds turned out this morning at the funeral. 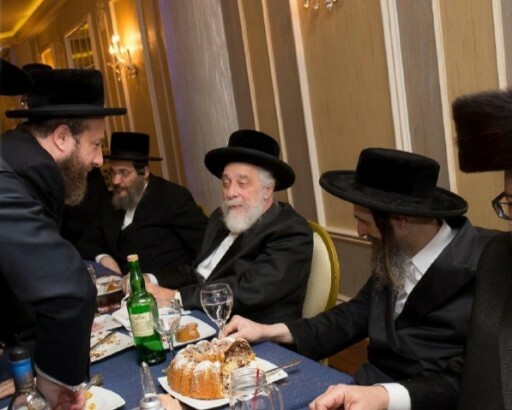 Sharing in the happiness and pain of others was second nature to Rabbi Katz and Mrs. Ehrenreich recalled the last wedding he attended, which took place this past summer in Monsey. Rabbi Katz’s final months were fraught with suffering as his condition deteriorated and he was hospitalized on Saturday. His loss is being keenly felt by all those who knew him, said Mrs. Ehrenreich. Yep he was indeed a huge Ehlica Yid. His father was a favorite Talmid of the Satmar Rebbe.And so was the Niftar an honor to the Satmar Kehila. There wasn't a Shiur or lecture where he didn't quoted the Satmar Rebbe. “ Yep he was indeed a huge Ehlica Yid. And that story you wrote of him leading the tehilim on that particular occasion is considered Gadlus according to you? Maven: Please, I beg you, tell me where in the Torah is says the IDF is forbidden? 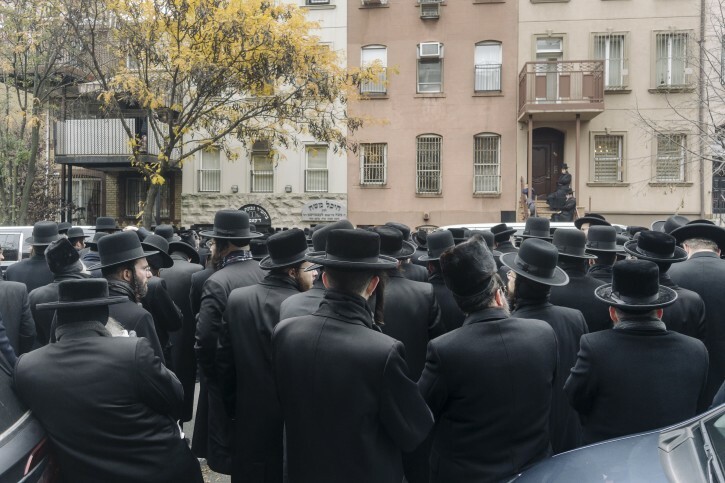 And also, considering alot of satmar (and skver) yungerleid that I have had the ultimate displeasure of joining for some shabbos morning minyanim, the frum soldiers are miles above in observance than these rejects. Not one iota of respect for davening or laining; just talking and talking and talking. “ Maven: Please, I beg you, tell me where in the Torah is says the IDF is forbidden? so all hundreds of thousands satmar, sqeure etc chassidim ALL dont daven, listen to leinen as opposed to where you come from all are holy? Yes I think its a gadlus. 2)His role at least wasn't to scream tzionim feh. His role was to simply daven. One can daven for tzionim to do teshuva too. We all agree on that. I am no satmara at all. In fact I am the one who often points points out to others that there are many shitas including R kook ZT"L who held the medina is a good thing. But that doesn't make those that disagree wrong provding they don't make a chilul hashem like neturi karta. Even this has to lead to arguments ???!! !